Throughout world history a variety of precious stones have been prized by various civilizations; the ancient Chinese loved jade, Romans valued sapphires, and the Aztecs treasured emeralds. 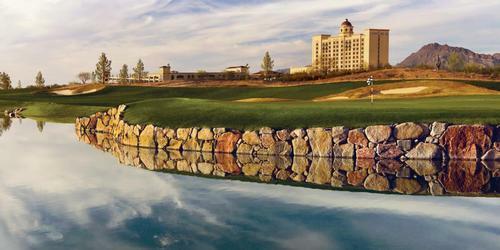 Today, contemporary Utah golfers should opt for coralstone, as in Coral Canyon golf course. Located in the far southwest corner of Utah, specifically Washington, UT, Coral Canyon shares similar topographical features with its neighbors Zion National Park and Bryce Canyon National Park, but in addition to red rock canyon walls, dry riverbeds, and an occasional plateau, Coral Canyon features lush fairways and true-rolling greens. 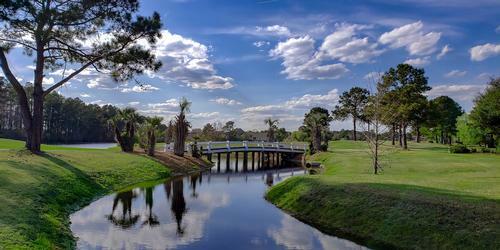 Coral Canyon is an 18-hole, par 72, public course designed by Keith Foster. Five sets of tees are spaced at 7200 / 6527 / 5993 / 5052 / 4125 yards respectively. 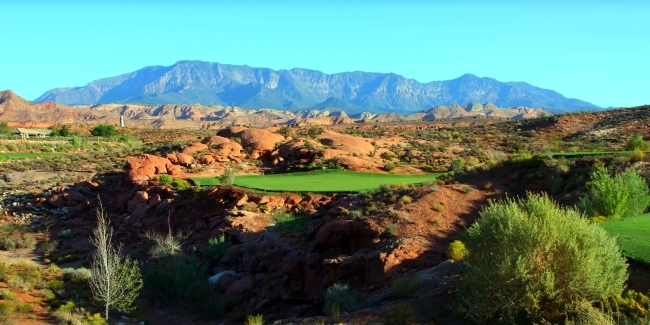 With a slight departure from the norm, Coral Canyon's balanced par of 36-36=72 features two par-5's and two par-3's on its front-9, but offers up three par-5's along with three par-3's on the back-9. The routing takes players on a risk-reward journey over 100 acres of turf but tests them with 55 sand bunkers, two lakes, and a labyrinth of dry washes. Southwestern Utah's warm and dry climate permits a 12-month golf season; peering outward from the Coral Canyon property, golfers can see the springtime greenery of Zion National Park, and later can see the snow-capped mountain tops of Bryce Canyon. Also, this same Utah climate enables the use of bentgrass for Coral Canyon's greens and Kentucky (in Utah??) bluegrass in its fairways. Coral Canyon has complete practice facilities on site; there is a full-flight driving range which can accommodate 20 golfers, and two practice greens -- one for chipping and bunker trials, and the other solely for putting. Coral Canyon's friendly golf staff encourages the use of these warm-up opportunities, as golfers will be faced right from the start with two opening par-5 holes; while neither is excessively long, each of the opening duo can provide early-round stumbles. The handful (all five) of Coral Canyon's par-3 holes is uniquely memorable. 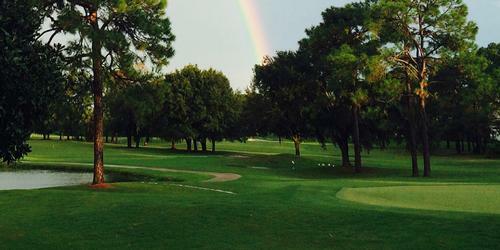 Hole #3's green is two-tiered, and figures decisively in many 3-putt bogeys. An opinion shared by many visitors to Coral Canyon is that its shortest hole (#6) is its most memorable hole: the seemingly easy tee shot travels over a craggy ravine to a plateau green with a 20-foot background of native rocks and caves. 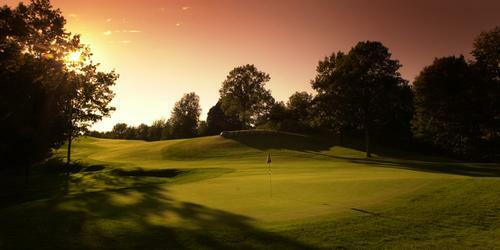 The next short challenge comes as hole #11; a bit longer than hole #6, this par-3 green has desert hillside to its left. Hole #13 is the longest par-3 at Coral Canyon; it may look shorter than its actual length, but assuredly plays to its true length. Watching your tee shot all the way to the green (or hole) is possible on the downhill final par-3, #17; the entire event is right there in front of you. Also in the mix at Coral Canyon are two short, drivable (?) par-4's -- holes #5 and #8; desert incursions just happen to be in places that make both of these holes quite testy. This pair of par-4's needs to be played multiple times in multiple ways before a golfer can finally determine his best plan of attack to emerge at a score of 8 or less. The round at Coral Canyon ends with a straightaway par-5; be sure to have just enough left in the tank when standing on #18 tee. After the round the Coral Grille, a full-service restaurant, is capable of seating 77 hungry golfers inside as well as another 200 in the outdoor pavilion. While eating, bragging, or consoling, golfers can take in views of the course and surrounding mountains from their tables in the glass-enclosed dining room.